All COLONIAL PARK homes currently listed for sale in Eagle Mountain as of 04/18/2019 are shown below. You can change the search criteria at any time by pressing the 'Change Search' button below. 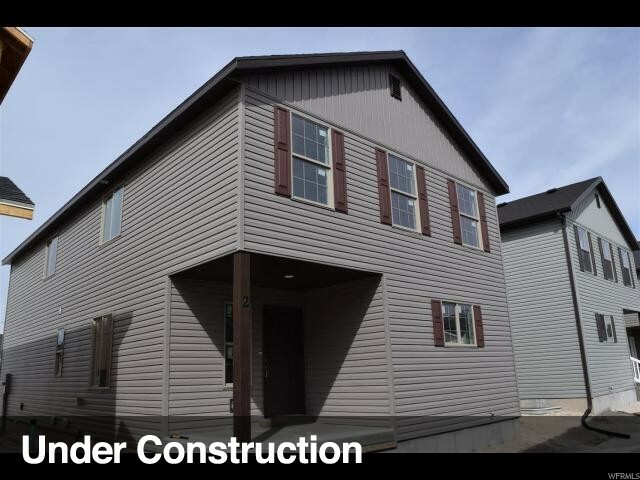 "Brand-new 2-story home in Colonial Park! 4 bedrooms, 2.5 baths with some very nice upgrades including tile flooring in the bathrooms, laundry, and entire main floor. Granite countertops throughout, gigantic walk-in closet, double vanity, upstairs laundry room, and separate tub/shower in the master bath. Master suite is huge! Unfinished basement, plumbed for full bathroom, includes 90% efficient furnace and cold storage under the porch. Colonial Park amenities include playgrounds, community fire pit, basketball court, and lots of open grass space! Make an offer now, this is beautiful and won't last long!"